We hire team players who think like owners. We don’t want just anyone as a Pool Trooper. True Pool Troopers have traits that just can’t be taught, such as; strong work ethic, accountability, grit, determination and maybe most important of all, desire to always perform at their best. We don’t claim that every job will be easy. We don’t promise that there won’t be tough days. What we do promise is that you will work with people who want you to be your best and that there will be opportunities for personal and professional growth. I started eight years ago cleaning pools. I remember during my interview when Dave and Gary (the owners) explained that advancement was performance-based and had nothing to do with seniority. I busted my tail for the first few months and then I was promoted to chemical technician. Proof, that if you work hard you get rewarded. After 11 months they made me a supervisor! 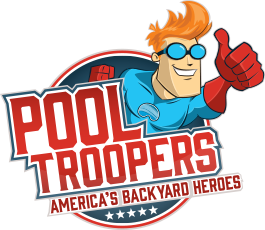 I’ve been with Pool Troopers for eight years. I came in on the ground level starting out as a pool cleaner. I worked in the chemical department for a few years and then moved to the mechanics department where we work on the inner workings of pools (filters, pumps,etc.). I was naturally drawn to it because I’ve been working on cars with my Dad and uncles since I was 10 years old. 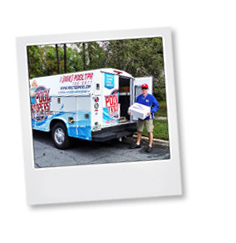 I worked for Publix Supermarkets for 20 years before joining Pool Troopers in 2004. 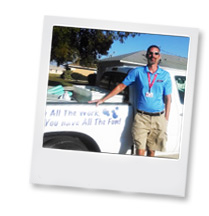 I have a combined total of 35 years of Customer Service experience. 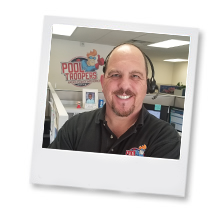 While working in Customer service at Pool Troopers I have met so many wonderful people and find that helping people is truly my passion.